We have original science fiction by A. Merc Rustad (“Longing for Stars Once Lost”) and Adam-Troy Castro (“What I Told My Little Girl About The Aliens Preparing to Grind Us Into Hamburgers”), along with SF reprints by Hugh Howey (“The Walk Up Nameless Ridge”) and Aliette de Bodard (“Crossing the Midday Gate”). We’re enjoying a change of pace in our fantasy department as we serialize an original novella from Jeremiah Tolbert (“The Dragon of Dread Peak, Parts One and Two”). We’ll also have fantasy reprints by Sofia Samatar (“The Tale of Mahliya and Mauhub and the White-Footed Gazelle”) and Rachel Swirksy (“Becoming”). All that, and of course we also have our usual assortment of author spotlights, along with our book and media review columns, and a feature interview. 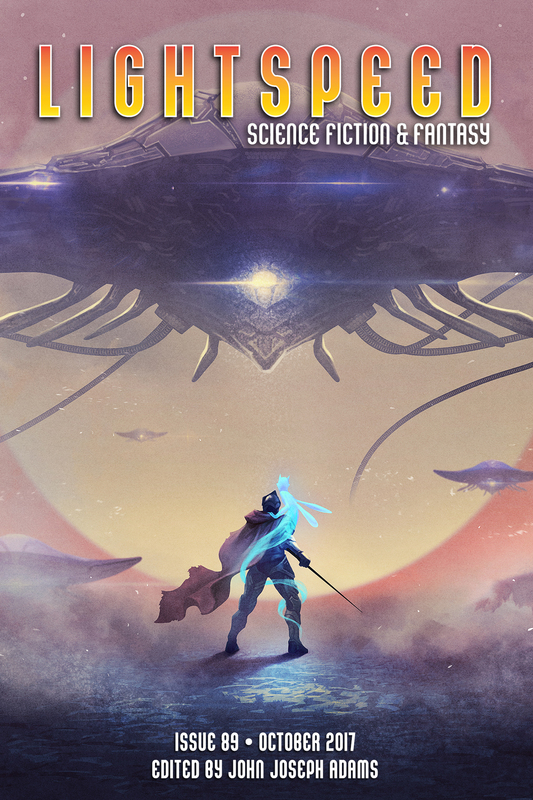 For our ebook readers, we also have a reprint of the novella, “The Breaker Queen,” by C. S. E. Cooney, and excerpts from Peter Cawdron's new novel Retrograde (John Joseph Adams Books) and Ka (Saga Press), the latest from John Crowley.